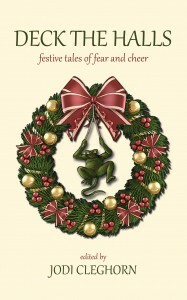 Steve Cameron: Science Fiction & Fantasy Author: Deck The Halls. Two publications - nice week you're having, Steve. Congratulations. Yes, I'm having an excellent week. And I can't wait to have my contributor copies of both of these in my hands.